What does it take to take a product idea all the way to the mass market? Melissa Dowell shares her experience. Artist Melissa Dowell in the studio. In 2013, I launched a Kickstarter campaign for a product idea I had. The idea was simple: to create a set of barbecue skewers in the shape of adorable narwhals. Starting with a lumpy clay model, the design was eventually refined into its final prototype using a mix of 3D printing in first sandstone, and then stainless steel for the handles, with handmade skewers. With a great video and a lot of online promotion, the campaign was successfully funded, and I went about finding a factory to produce the first run of 750 pieces. While I researched factories located here in the U.S., and even had a few factories who saw my Kickstarter campaign reach out to me regarding production, it was a factory I found through the Chinese website Alibaba where I found the most success. The factory initially sent me similar skewers they had previously made. Later, they produced a perfect sample of the Narwhal skewers based on the 3D printed skewer I sent them. Soon the full run of 750 skewers was shipped to my studio, with a short stop in customs for inspection. Note that the FDA tests the quality of housewares intended for cooking to make sure all materials are up to U.S. standards, so using a factory you trust is key. Once the backers were fulfilled, I opened an online store to sell them to the rest of the market. But I was at a loss for what to do next. This was my first venture into product development, and I was promoting and marketing them the old fashioned way. I was the sole employee, handling everything from talking to the factory producing the skewers to shipping them out to customers. By the end of the summer, sales had wound down and, unsurprisingly, no one seemed very interested in barbecue gear for the winter. A couple of physical stores in New York City agreed to pick up a few sets on consignment in the spring, but that was months away. I needed to expand my market. I turned to searching for a bigger online home for my skewers. I knew that there are plenty of big box companies I could try to reach. But their market involved knowing agents and buyers and was a bit impenetrable for a new, single-item artist such as myself. From searching online, I found tons of stores that sold great housewares, where my skewers would fit. I started my list with the few stores I knew and would love to work with. Then, I found products that were similar to mine – clever, animal-themed items that were made of strong materials meant for a non-disposable market. I looked at the companies that sold them, and added them to my list. With a solid list put together, I began cold-emailing, either directly via submission forms for companies actively looking for more products, or using a contact email address for the correct department. My introduction included a brief description of my product, a link to the online store where they could find the skewers, a line sheet with pricing, and a few photos of them in action and in their retail packaging. Since I was new to the wholesale market, my first major order for 300 sets forced me to learn quickly about the terms in their contract. One of the first steps I had to take as a seller was to get general liability insurance, to cover my product in case of any issues. The contract stipulated that if anyone was injured using my item, I would be held liable and would need to have my own policy in place. I had a business which had been around for less than three years, so I faced a lot of rejection from insurance brokers, or was quoted high premiums for minimum coverage, until I found the right plan. 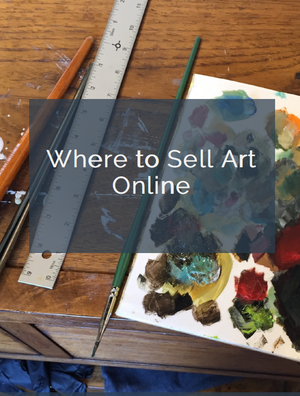 While most larger companies will have you send your items directly to their warehouses to be shipped in combination with their other products, a new trend of online shops popping up has artists handling the shipping. Some will cover the shipping costs in their contract, while others will offer “free shipping” to customers and pass the expense of shipping on to the artist. These fun skewers found a ready market. In order to make the fulfillment process easy on myself (living in a small New York City apartment), I reached out to fulfillment centers. These are companies that will store, pack, and ship all your items with only a minimal mark-up on shipping costs. They can handle multiple stores and any custom kitting required. They will also provide customer service regarding their shipments and facilitate any returns and refunds. The most important terms of the contracts I signed covered payment. Some customers will pay upfront before any items are shipped to them. Others will request “Net 30” payment terms, after receiving your items. The longest payment request I received was Net 30 after the 30 day online sales campaign had finished. It is an effective way for them to place a hold on a number of units, but only pay for the items that sell. Successfully negotiating my way through these contracts has helped diversify the sales engines for my skewers into multiple online stores. It has allowed me to plan the next items I want to develop, rather than focus on day-to-day sales. I have a number of new stores interested in picking up the skewers for next summer, and satisfied clients who are asking about next year’s designs. It’s been a great first step into the wholesale marketplace. Learn more about Melissa Dowell’s narwhal skewers here.